DSLR cameras are becoming cheap, and its technology is improving day by day. Just because of its affordable prices, many people are considering DSLR cameras for their small to significant events and celebrations. There are also many armature photographers who want to do something in the field. But, as we all know about some big issue of photography, which are low lights, dull images, and typically mediocre built-in flash. You don’t need to take much stress about the same as there are many high-tech external flashes available in the market for your up to the mark photographs. 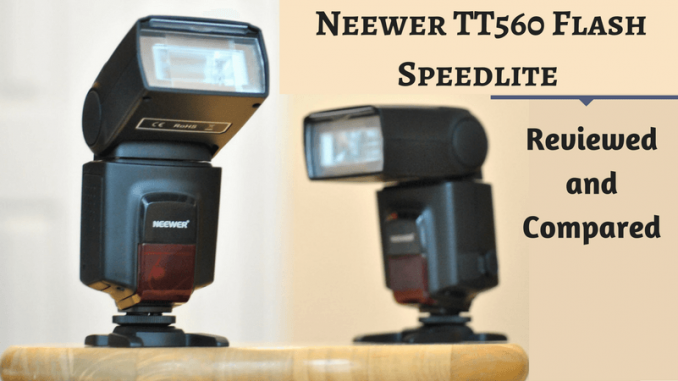 Today in this article, I am going to talk about Neewer TT560 flash speedlite review and how it can be used as a canon speedlite flash. Many readers of mine and the users of the camera have a question in their mind like ‘Is Neewer a good brand or not?’ To all those people, I just want to assure that yes, certainty Neewer is a good brand and you can rely upon it. 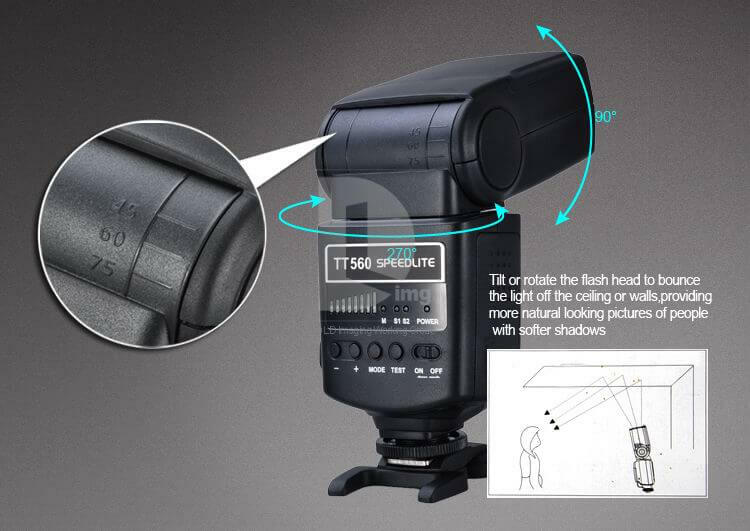 If we talk about the TT560 flash, I am highly impressed by its features and specifications. Let me give some information regarding the same! In the very well-designed box, you will have of course the Neewer TT560, the flash stand or shoe, and TT560 Speedlite instructions which will get you most of the information you will need before and at the time of use. This external flash also comes with the velour bag, in which you can put your flash and protect it in some manner. The stand is pretty sturdy; so you can put your flash on it without having the tension of dropping. One thing I really appreciated was a tactile response from all these buttons. It’s very nice. The Neewer flash triggers are great. You will feel like they are built amazingly. You can run them through a couple of modes. When you go right up to full power, recycle time increases to about 2 to 3 seconds, which is not terrible for a flash at this price. At the bottom, you will get a metal mount. It means that it will last a whole lot longer with the wear and tear that is put on it and the center contact. 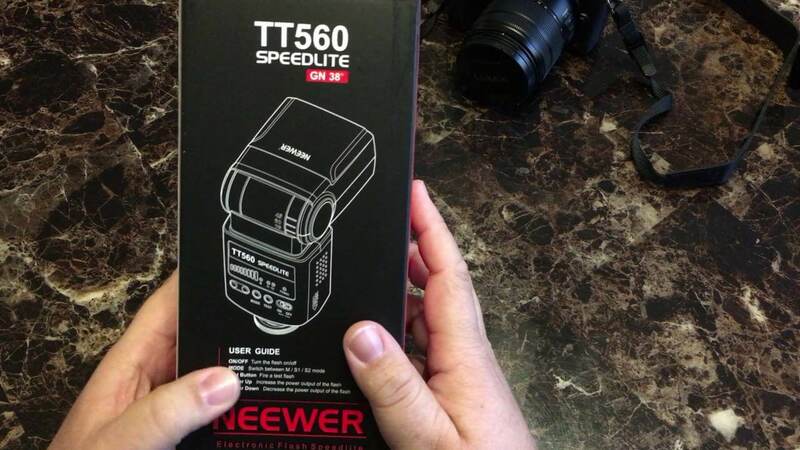 At the top of the Neewer TT560 Speedlite manual flash, there is a red area, which is actually an optical sensor. Behind, there is the slave mode one and two. And the obvious ones; you can put the flash in different angles for different photography. It has a diffuser already built into it. You could set it to various levels. One minor thing you should know about this model is that; make a note that the Gary Fong light sphere doesn’t peck fit on this flash tightly, but it stays well if you use it. Neewer TT560 can workout best with the canon flashes because of its fantastic features. Overall, this flash is inexpensive and well-built. Also, it is a very useful way of adding some lights to your shots. For just the $40 price tag, I highly recommend it, especially if you are new or just getting into new experiences of flashes. I hope you have found this article helpful. For more exciting reviews, stay tuned.